This workshop brilliantly teaches the integration/augmentation of DBT and exposure with helpful demonstrations and opportunities for practice and feedback. This training will begin with one day of advanced training on DBT case conceptualization. It will then use your own individual cases to formulate exposure interventions and move into training on exposure in Stage 1 and Stage 2 DBT for the following 3 days. This training is designed for people who have attended previous trainings in DBT and will further develop skills needed to provide effective treatment with Stage 1 and Stage 2 clients. Presenter will assume that participants have knowledge of the basic principles of DBT. An overview of the treatment and treatment strategies will not be presented. Course Level: Advanced. Presenters will assume that participants have knowledge of the basic principles of DBT. An overview of the treatment and treatment strategies will not be presented. To Register: Online registration is closed now, but there are a few seats remaining. Please contact Cat Cash at 626-470-9834 ext. 502 or Cathleen@choices.care if you are interested in attending. Dr. Shari Manning is a founder and the Chief Executive Officer of Treatment Implementation Collaborative, LLC, a company that provides training, consultation and supervision in the implementation and provision of evidence based treatments. She is also the founder of the SC Center for DBT, LLC, a private practice that offers standard outpatient and intensive DBT treatment for adults and adolescents. She has supervised therapists at the Behavioral Research and Therapy Clinics at the University of Washington and the University of South Carolina as well as training and supervising therapists and programs at the SC Department of Mental Health and SC Department of Corrections. Dr. Manning consults extensively to state and private mental health programs, domestically and internationally, at all levels of client care, including forensic and criminal justice settings. Her research includes investigations of the efficacy of DBT with incarcerated women with borderline personality disorder (BPD) and with adult women with co-morbid BPD and eating disorders. Dr. Manning has written several published chapters and articles on DBT and its implementation . Her book for family members, Loving Someone with Borderline Personality Disorder: How to Keep Out-of-Control Emotions from Destroying Your Relationship, was published in 2011 by Guilford Press. Dr. Manning has been leading DBT consultation teams since 1993 and has been a member of the consultation teams at Linehan’s Behavioral Research and Therapy Clinics. She is currently working with consultation teams around the world to strengthen their team process. 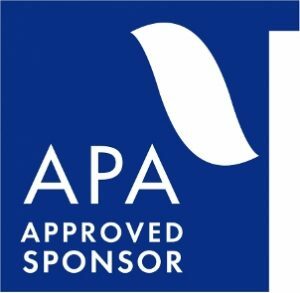 The California Board of Behavioral Sciences accepts APA approval for CE activities for LMFTs, LCSWs, LPPCs and/or LEPs. Outside of California, please check with your licensing board to see whether APA approval is accepted for CE credit in your state. Please call Dr. Cooper if you have further questions (626-744-9472). 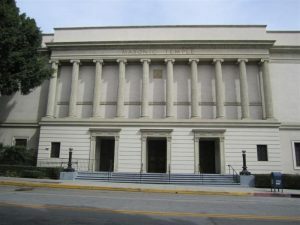 For information about the Pasadena Masonic Temple, click here. Parking: Parking is available across the street at the Pasadena Convention Center for $13/day. $18 a day for in-and-out privileges (subject to change). This parking garage is shared with the Sheraton Pasadena for those guests planning to stay at that location. The deadline to cancel is March 10, 2018. $250.00 of your tuition is non-refundable if cancelled before deadline. $500 of your tuition is non-refundable if cancelled after deadline. All refund checks will be issued within 15 days of the close of the training. Refunds for payments made by credit card will be credited to the card provided at time of payment, if cancelling within 60 days of payment. Refunds made for payments made by credit card after 60 days of payment will be made by mailed checks within 15 days of the start of the training. Substitution Policy: Substitutions must be arranged within 10 days of the start of the training. 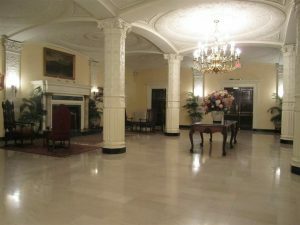 There are numerous hotels and motels in the Pasadena area — many within walking distance of the training site. Some of the closest hotels are listed on the registration page (click on the link under “Location, Lodging and Meals”) or click here. Conference site is an accessible, barrier-free location. Reasonable accommodations can be made for individuals with visual and/or hearing impairments if needed. If you have accommodation needs, please notify Cathleen Cash//Choices at 626-470-9834 ext. 502.